*Note: because of this post, I often get emails asking me to help appraise old patterns for estates. This is not something I can do, nor something I can help with. I am very sorry if you’ve lost a loved one and are now seeking help dispersing of their belongings, but this is not help I can provide. 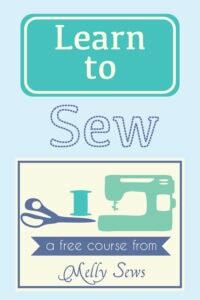 Have you ever heard the story of the $800 sewing pattern? It’s one of those things I’ve heard floating around the sewosphere before, but I’m not convinced that it isn’t an urban legend. UPDATE: thanks to a reader, I think I have found two patterns that what I thought was an urban legend could be based on. The first was a 1940s mail order pattern that sold for $2025.00 in 2013 and you can see it here. 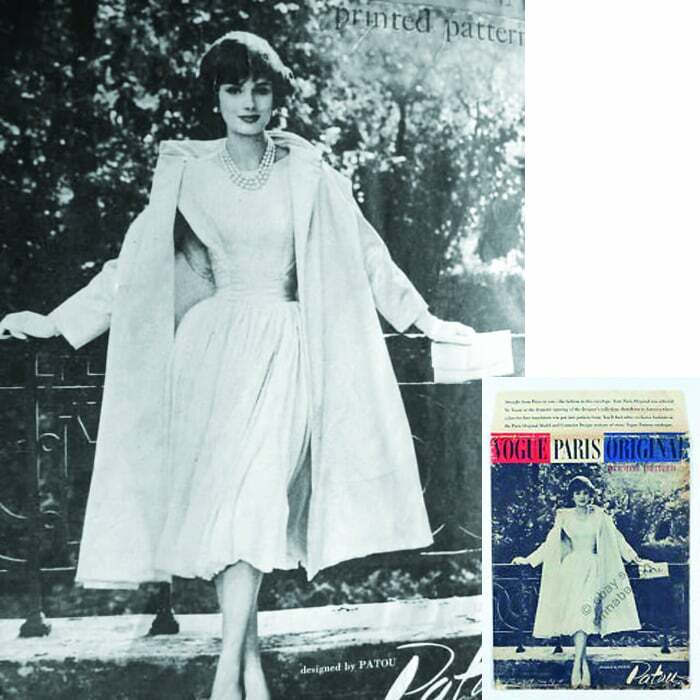 The second is this Vogue Paris Original Patou design that sold for $580. I love to research just to research so I also found these 10 sewing patterns that sold for over $100 EACH. Want to take a closer look at the most expensive sewing patterns? The discussion has to start with the Diane Von Furstenberg Wrap Dresses, Vogue 1548 and 1549. These are the ones that come to mind when I think of the topic “expensive sewing patterns”. Both patterns came out in 1976, and are much sought after on eBay. 1548 is the basic wrap dress, and can be worn forwards or backwards. 1549 appears to be even more sought after. This is the version with collar and cuffs, and this one sold on eBay for $222.50. Other copies of this pattern sold for as low as $44.99, depending on the size (larger sizes seemed to go for more $) and condition of the pattern (uncut patterns obviously sold for more than cut ones). Like other areas of antiques, rarity contributes to the value of a pattern. 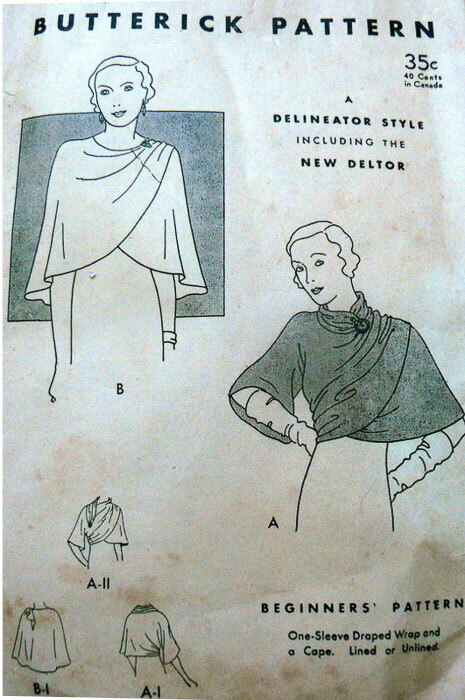 Which is my guess as to why this Butterick Delineator Style Cape sold for $160.27 – it’s from the 1930s, and 80+ year old paper in decent condition isn’t something that’s around in abundance. If 80+ year old paper is rare, I know 90+ year old paper is more so. 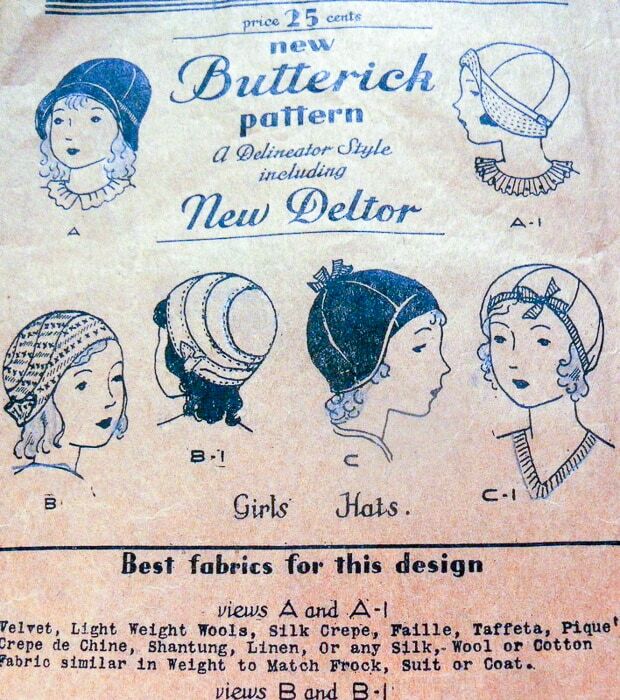 Hence the $124.49 selling price on this cloche hat pattern from the 1920s. Had it come in more sizes I bet it might have been worth more. Many of the most expensive patterns are Vogue Patterns – probably because of their strategy of pairing with up and coming fashion designers throughout the ages. 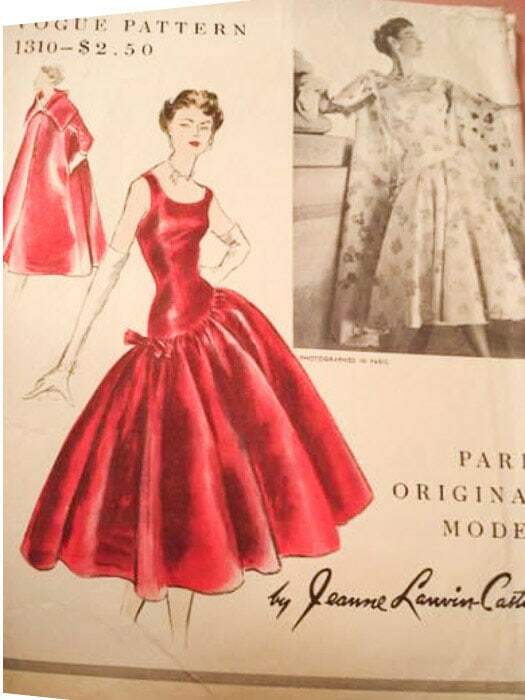 For instance, who doesn’t now recognize the name Christian Dior on this pattern that sold for $127.50? More examples – this Issey Miyake pattern sold for $114.32. 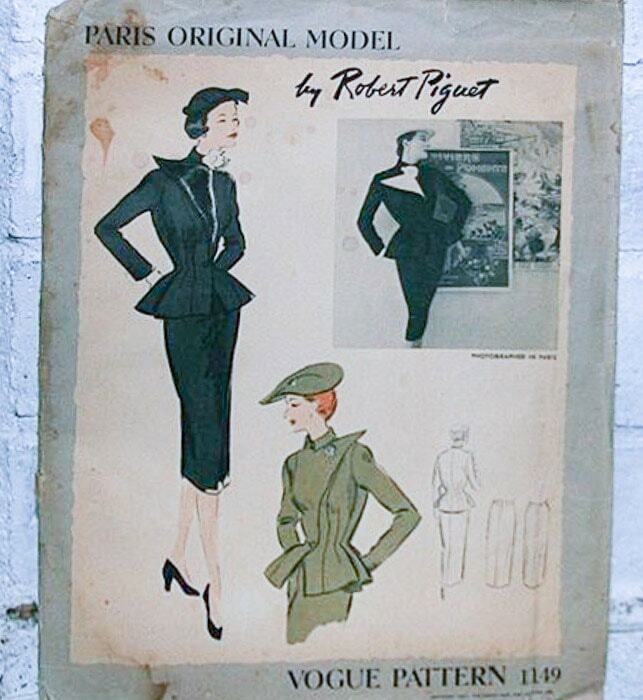 This Robert Piguet (this is the guy who trained Dior and Givenchy) pattern sold for $189.50. 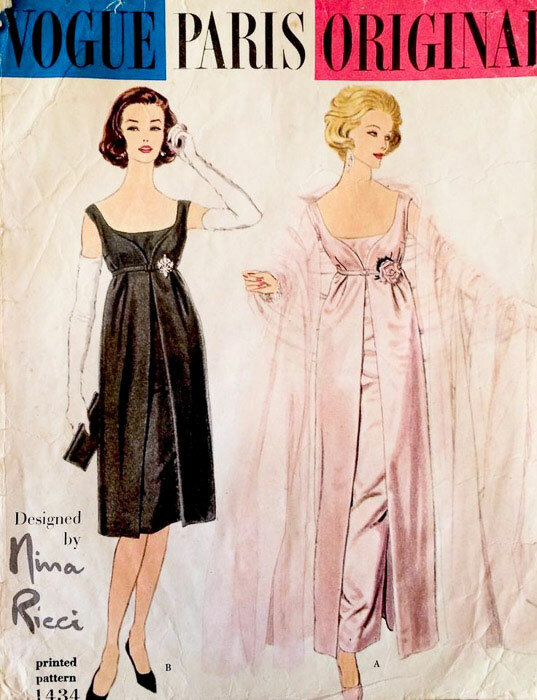 And this Nina Ricci pattern sold for $192.50. So in summary, if your pattern is old, rare, in good condition and has a designer name attached, it may be worth a pretty penny. But the real question on these patterns is why? In some cases there are much less expensive and fairly equivalent newer patterns, so is it the thrill of the chase or the satisfaction of owning the original? Do you think the buyers even intend to sew from these? Would you ever spend over $100 for a sewing pattern? How interesting!! I recently received a massive stash of patterns collected by a local seamstress. In the box was a Vogue Yves Saint Laurent trench coat from the ’60s in excellent condition — uncut and still with factory folds! Out of curiosity I looked it up and one was listed on a vintage pattern website for $100. I was in shock but have every intention of keeping it as it’s my size and I love the style. I guess I just don’t really get the allure. It irritates me when a pattern is more than 10 bucks! I do see the value of the cover artwork though, so maybe if you’re in it to collect, and not to sew, it’s worth it. Great post! I don’t think I could ever justify the price of such a pattern, though I admit to having gone searching for the DVF wrap dress many times before. I totally agree that there are many many equivalent patterns out there for much less money that are maybe 10% different. That 10% can be figured out too through drafting/muslining if you’re willing to work it out. I’d love to get my hands on an actual vintage DVF dress and reverse engineer it. It’s gotta be the collector crew spending that much on a pattern! Very interesting. I should take a look at my vintage patterns. Have you ever researched why some fabric sells on eBay for crazy prices? I’ve seen some Sisboom go for over $50 a yard! Wow. I’m going to start looking more closely at Goodwill – I’ve seen lots of patterns there and some look old!!!!! That’s Michelle Pfeiffer on the cover of Vogue 1548… just a bit of pattern trivia! This is such an interesting post! I was going through several boxes of vintage patterns the other day that belong to my local amateur dramatic society and it’s got me thinking as to what treasures may be in there! I love this subject as I am a collector of patterns. Whenever I want to use one of these gems, I trace the original and put my little beauty back in the envelope where it’s safe. My favorite one that I made was a pair of trousers. It was a boy’s pattern I adapted for my granddaughter. 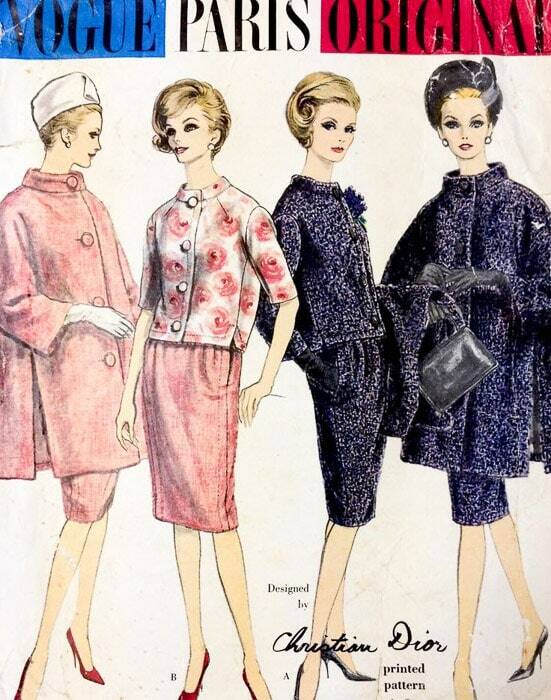 Debbie i am in Australia and have 1940s through to 1980s designer mostly vogue patterns to sell….where do collectors go to buy because they were my granny’s and i want to list them somewhere and am happy to post overseas. Thanks for writing this post about collectible patterns! One of the main determiners of value not mentioned here is design. Designer patterns often have more interesting details and construction, which is part of why they tend to be more valuable (note examples above), but there are lots of Vogue designer patterns that sell for $10 or less, and plenty of non-designer patterns that sell for over $100. When a pattern has unusual design details and is also scarce, the price goes up, especially if it is the only known copy. That Butterick wrap cape is a perfect example – not only is it old and rare and in good condition, the design is extremely unusual. If it were just a hum-drum day dress, it would probably sell for under $30. There are old patterns that aren’t rare and rare patterns that aren’t very interesting, designer patterns that are abundantly available, patterns in poor condition (even missing pieces or instructions) that are still quite valuable, and patterns in great condition that are worth $0. In this sense, sewing patterns are really no different than any other collectible. The more a pattern has going for it, the higher the price. There are so many beautiful designer patterns out there. While some patterns are pricey, some are also very affordable. 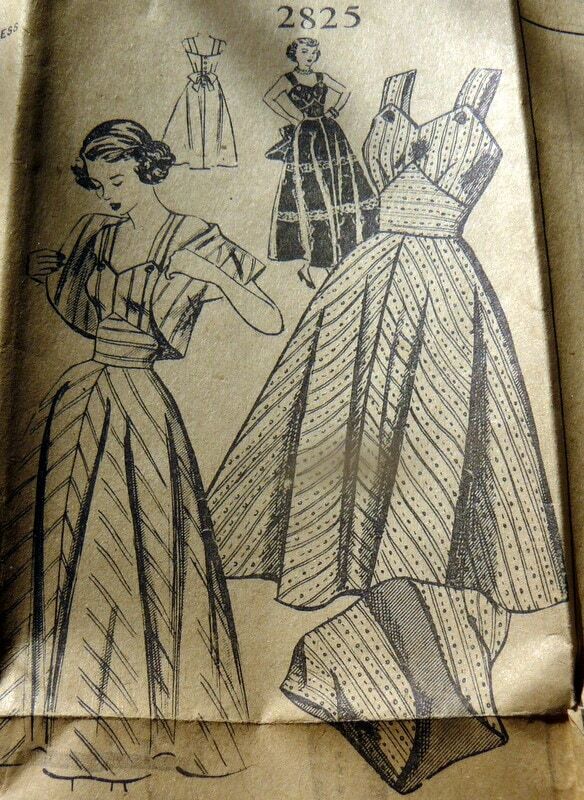 There are many collectors of vintage sewing patterns. They collect not just Vogue designer patterns but patterns that are unique designs or patterns that bring back memories of their youth. Some use them; some keep them pristine and unused. Patterns, like other collectibles, are cherished by their owners. There are less expensive alternatives for the sewist. Collectors however are interested in owning the pattern by the original designer. Debbie – Hooray for tracing and keeping the pattern in good condition! 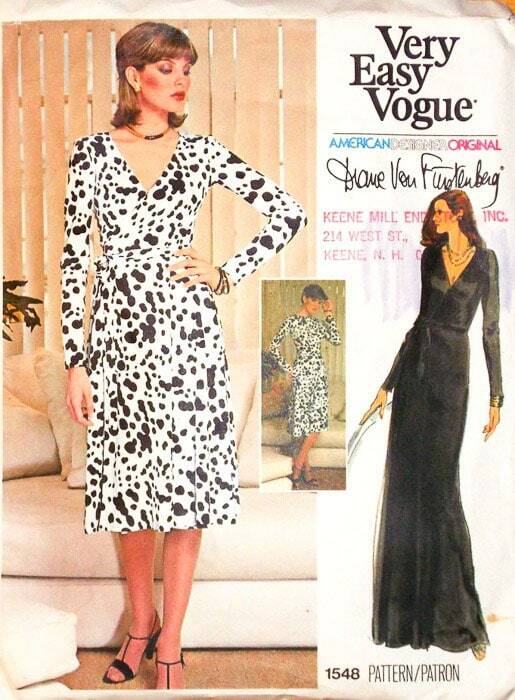 I probably made 6 of the Diane Von Furstenburg wrap dresses “back in the day.” Wish I still had the pattern. I worked in a sewing boutique in 1976 and made the Diane Von Furstenburg 1548. It was one of my first knit projects. I made it for my honeymoon and wore it forever. I’m not a saver (no space!) but sure wish I had hung onto the pattern. I would frame the envelope, too. What a fun post! I have 2 huge boxes of patterns my Mom gave me that were hers from the 60s, 70s and 80s….that infamous wrap dress (both patterns) were in there as well as a Dior outfit from the 60s she made for herself for Easter mass one year. I recently saw a pattern sold for over $100 I had lucked out to buy for .50 cents at a thrift store, a beautiful 1950’s evening gown that I always thought would make a stunning prom for one of my daughters if I could ever talk them into it. McCall’s 9533 I’d probably only sell if I was destitute even if I never use it. It’s just beautiful to look at. super fun post to read.. I really don’t get it though. I’m not a collector.. so I don’t understand paying that much for something old that you won’t actually use… crazy to see what what some people will pay though! I sell vintage patterns on ebay now and then, and remember the buyer above, who seems to collect for scrapbooking. 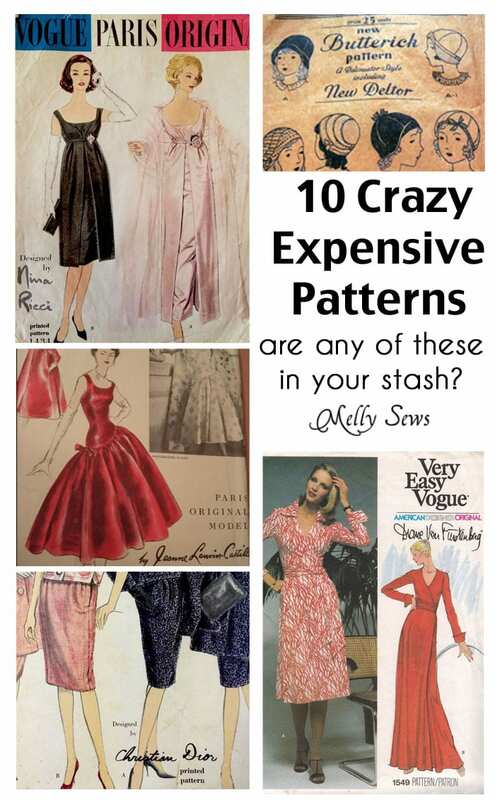 Hope you find this glimpse of staggering vintage pattern prices fascinating! Here is the item # to link to a 1930 McCall evening gown pattern which sold for $831 in June of 2014: eBay item number:111367138437. The URL was enormous! I really wish whoever bought this would sell copies! I also wish the pattern companies would track some of these record breaking pattern sales and reissue those patterns, which clearly have desirability. I would buy each and every 1930s Couturier ensemble which Vogue would kindly reissue! In 1998 I sold 3 Issey Miyake patterns for $285. One of them sold for $187. Face it, these patterns were not that old or really rare. I think at that time people didn’t realize that these patterns may appear again, because prior to ebay and the internet, the likelihood of ever seeing a desirable old pattern was just kismet. 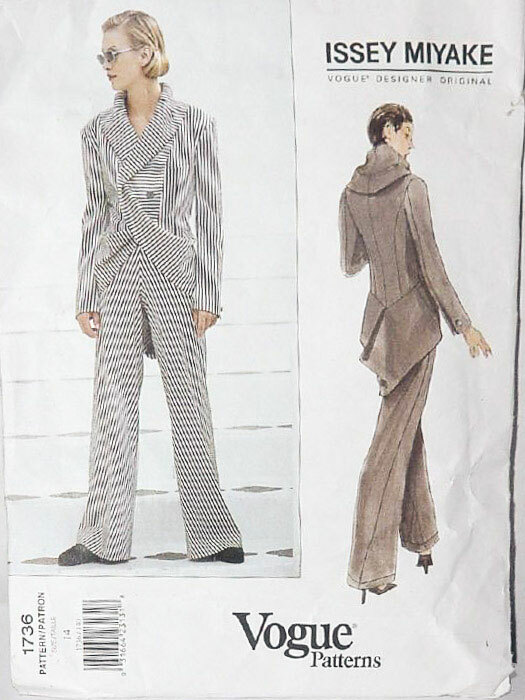 I am stunned by the $2025 price realized for a mail order pattern -which was not even a Spadea designer pattern! I will now be much more careful of the stash which I eventually plan to sell. I would have put that patten in a lot with other patterns. Who knew? I bought a copy of the only authorized Chanel jacket sewing pattern … a Spadea one, for $1 at a garage sale in 2013. The instructions are the best part of it, particularly on the lining and quilting the fabric with hand stitching. 1982 Rare McCall’s Sewing Pattern 7990 American Ballet Theatre Costume Tutu Sz 6 – check it on ebay – I think it is more than $100. All the original tutu patterns are horrendously expensive. Thank goodness Jalie does well priced modern ones. I have been selling sewing patterns on line for around 10 years now. Usually I can tell if a pattern might be worth more by the designer and the style, but some do pose a mystery such as why all 5 copies of one of the patterns I had for sale (in various sizes) all sold in one month’s time all to Germany (different buyers). I guess it was featured in a magazine article and they got it while the getting was good. One of the reasons I started selling them was seeing so many letters to the editor in Threads, vogue, etc. asking where to find a particular pattern. Now between two sites I have 12,000 patterns up for sell. My most expensive ones are some old Buttericks from the 1920’s. The secret behind the price is I really don’t want to sell them but if someone is willing to pay the price I’ll sell. LOL! Being surrounded by patterns each day helps me keep in touch with my sewing hobby that I can’t do a lot of anymore due to arthritis. Auctions are another great place to pick up vintage patterns. I picked up an entire tub of vintage Vogue, etc for $20. A friend oulled 9 Issey Miake? patterns out and just those 9 together sold for hundreds. Wish I could remember exactly. Guess I should go take a second look. Thanks for the article! For those who don’t understand the value of a rare vintage designer pattern, perhaps the value of a Van Gogh painting or an original Mozart manuscript or a Tiffany lamp or even a one of a kind old baseball card eludes you, too? It is a work of art. If that is your artistic medium, any of these things can be priceless to you. Love your website!!! I’ve always known that one day my mother’s old patterns would be worth money. Unfortunately she didn’t and she gave them all away. She had very old patterns that were her grandmother’s. 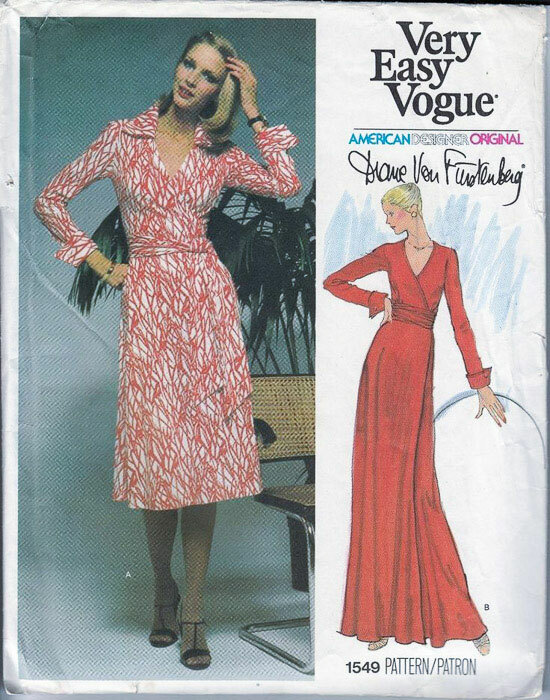 Today I bought 2 different Vogue patterns for 0.99 cents ea!! 1 is dated in the 1940’s and my research shows that it’s rare. The other I haven’t found any information on yet. So any help would be appreciated it’s a Vogue Paris original designer Christian Dior # 2579. It features a womens 3PC jacket/shirt/skirt set. The jacket is red w/ a black skirt. I wish we could post pictures in comments. 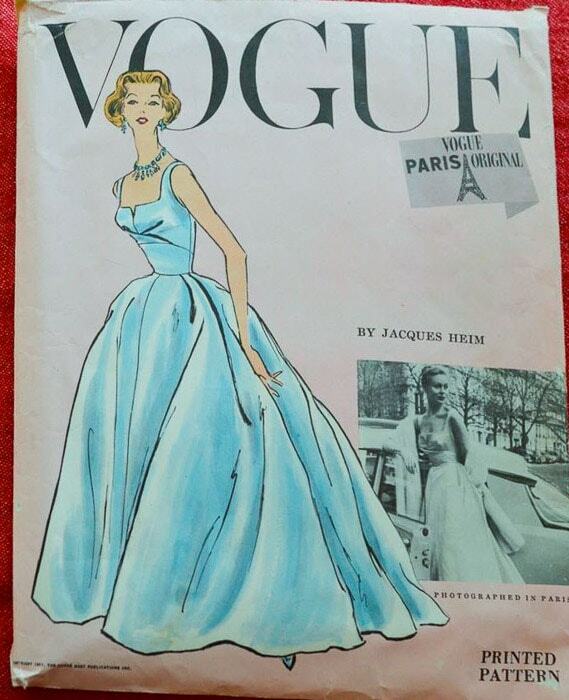 I have an amazing Vogue Paris Original pattern that I have been reluctant to sell, because I know how rare it is, and that it is truly a collectors’ dream. If I do sell it, which I think I will because I am going to be a first time grandmother haha, it is going to be very pricey. I don’t sew, but my beloved mother did and God bless her because she TRIED to teach me, lol. I just lost my father too and it seems that instead of holding on tight to this pattern, I should come up with a price and sell it. I need to move on and the money would help! I need to start letting go! Wish I could post a picture of the pattern here. Thanks for listening! My pattern, Vogue Paris Original #1557 for the YSL Mondrian dress is nowhere for sale and to my knowledge hasn’t been in at least a couple of years. How much would a collector pay for it? That is the question! Personally, I feel the rarest Patterns are are those of 1990s and in the largest sizes. Why? Look at the brilliant and flattering shapes, cut, innovative shapes! Nothing dull, just fantastic design. Non of these designs repeat themselves year after year, unlike all the modern “rubbish” in all of the Pattern books today. In the late 80s and 90s you’d fling open the pattern book for Vogue and you’d be salivating over all of the patterns, you’d be excited, you’d be scared but most of all… you were INSPIRED. The Miyake coats, especially 2485, 1456, 2292, 1859. The Miyake press stud skirt 2556. Donna Karan, Issey Miyake, Byron Lars, Jennifer George, the ULTRA RARE NY McCalls 2679 featuring a romantic Komali inspired wardrobe, the other rare McCalls is 5869 NY Baby Doll dress. All of the Laura Ashley patterns are becoming scarce. McCalls have explained why they cannot re-release the very best patterns, it’s all down to licensing, timing and it’s a very expensive and complex road. 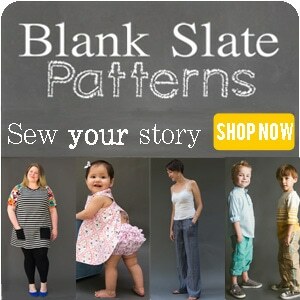 Collect them, trace them, re sell them, they are a starting point to learning great pattern cutting.